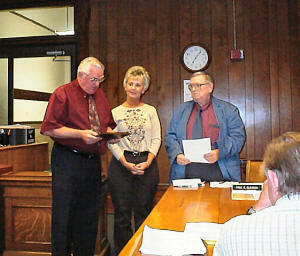 Logan County Board Chairman Bob Farmer (left), presented a plaque to Gloria Luster after Paul Gleason (right) read an appreciation resolution in her honor. Luster served 2001 to 2005. A move out of her district in Mount Pulaski to Lincoln necessitated her resignation. TQM, ISO 9000, Six Sigma: Do Process Management Programs Discourage Innovation?